Thanks to these directions from Betty Crocker, I realized my mistake. The trick to the perfect Ice Cream Cone Cupcake is to fill the muffin tins with batter and bake with the cone upside down in each section. Ah, the happiness that comes from perfecting a recipe that once flopped. For the cake batter, I used my mom’s fail-safe yellow cake recipe and added in a cup of mini chocolate chips to make the cake look more ice cream like in case I decided not to frost them all. Then, I made a batch of easy buttercream icing (basically the recipe from the side of the confectioner sugar package), swirled some on and decorate the cupcakes with a sprinkle more of chocolate chips and sprinkles. For more fun summer cake decorating directions, you can check out the Betty Crocker website and follow them on pinterest . 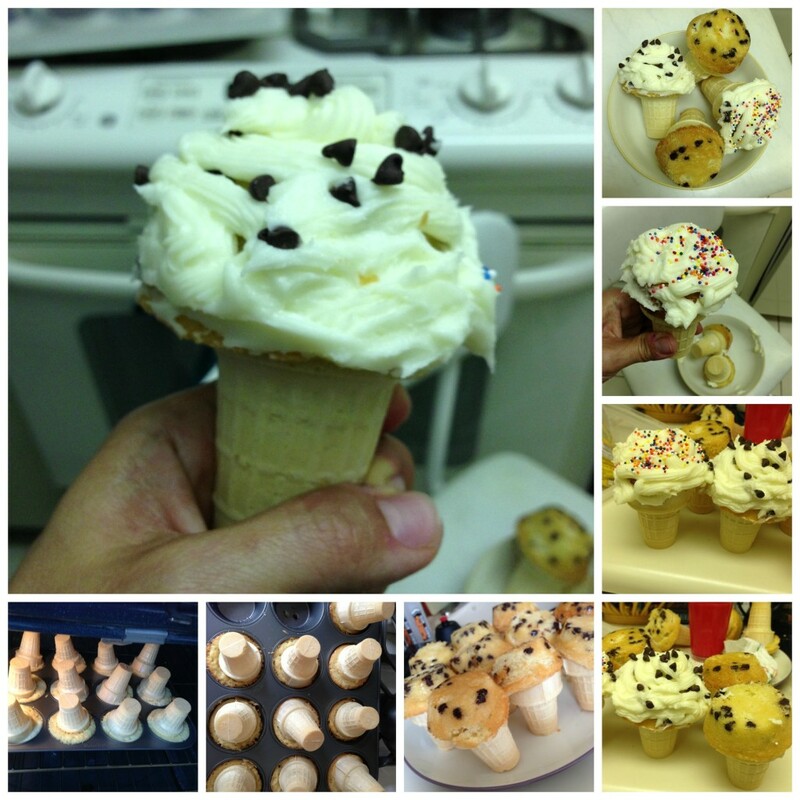 This entry was posted in A Peek Into My Kitchen, Food and Drink, Food related, meatless monday and tagged betty crocker summer cake recipes, ice cream cone cupcakes, infographic, summer birthdays by jessica. Bookmark the permalink.